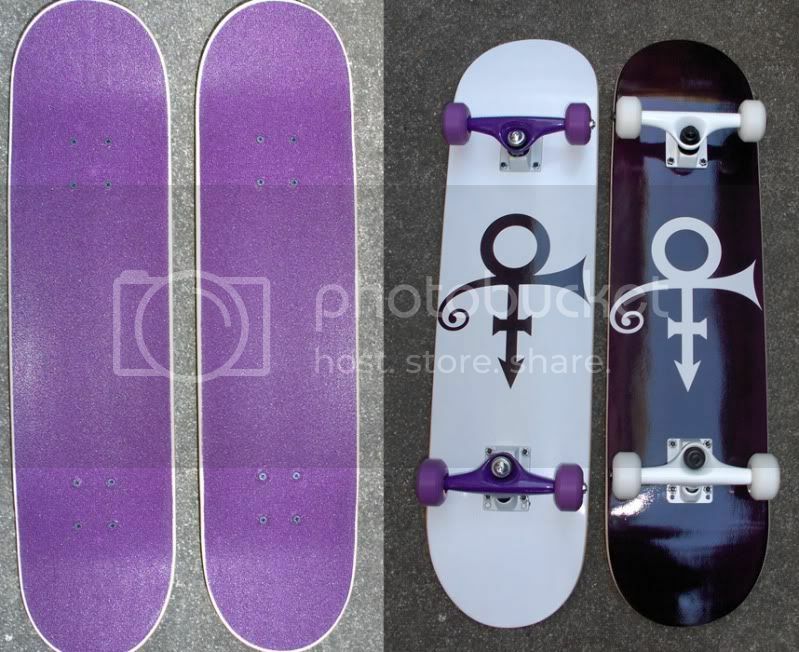 I'm a graphic artist and I made 2 different Prince symbol skateboards as an art project. These are full decks of professional quality. Looking to sell or maybe trade for Prince & related guitar picks. how much do you want for the skateboard? I have around $200.00 into each board. I might be flexible on the price but it would be around there somewhere. They are going to be heavy to ship as well. Guess I'm 2 old 2 start skating again - but if I did, this would be the board 2 use... You did a super job! Hope you sell them 2 a fam who's going 2 use it. Would be cool 2 show the kids out there who really rocks!! Just traded away the white with purple wheels deck.